For several years now the Salon de la Photo has placed the fascinating world of black and white analogue photography at the forefront through the work of great photographers. Exhibitions by Sabine Weiss, Raymond Cauchetier, Elliott Erwitt and Gianni Berengo Gardin allowed visitors to rediscover masterpieces of 20th century photography. In 2016 another photographer of the same generation as Sabine Weiss is celebrating his 90th birthday. Very early on in his career Jean Marquis began working for the prestigious Magnum Agency. He was born in Armentières in the North and during the 1950s and 1960s he travelled extensively around France. Following at first the humanistic photographic tradition he decided to adapt his work according to social changes and began to move towards a more contemplative style while bringing a new vision to industrial photography and the working world. Jean Marquis owes his first steps as a professional to an important international figure in the world of photography of the 1950s: Robert Capa, cousin of his young wife Susie. Capa suggested that Marquis should first of all learn as much as he could about photography in a laboratory. He started work at Pictorial Service in Paris run by Pierre Gassman and perfected the art of printing and developing in the darkroom. He was also able to study the contact sheets of photographers such as Henri Cartier-Bresson and George Rodger enabling him to learn first hand how each approached his subject matter. His photographic study of the river Deûle produced while cycling his way along the canals of the North was very much appreciated by Capa and as a result he was accepted into the prestigious Magnum family. Using a Leica bought second-hand from Cartier-Bresson, Marquis began his career as a photoreporter but continued to seek out subjects for more personal work. Later he worked for Time Life and The New York Times. Marquis was passionate about night light and showed very rapidly showed his mastery of long shutter speeds and the grain in black and white images. 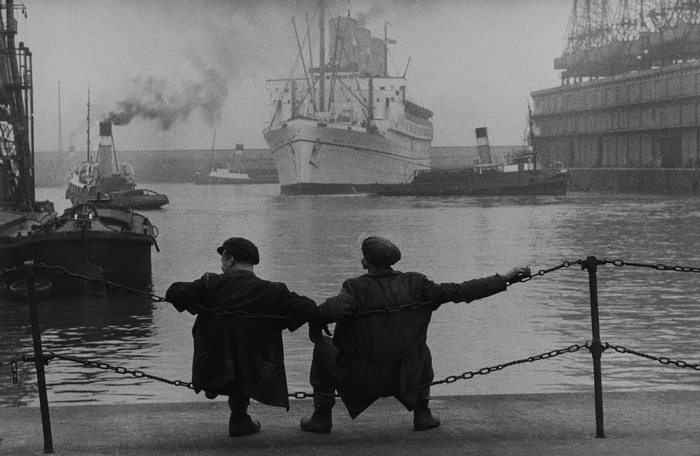 In 1955, while spending two nights in Liverpool on his way to the isle of Man, he produced images of stunning force – portside scenes in the shadow of the docks. 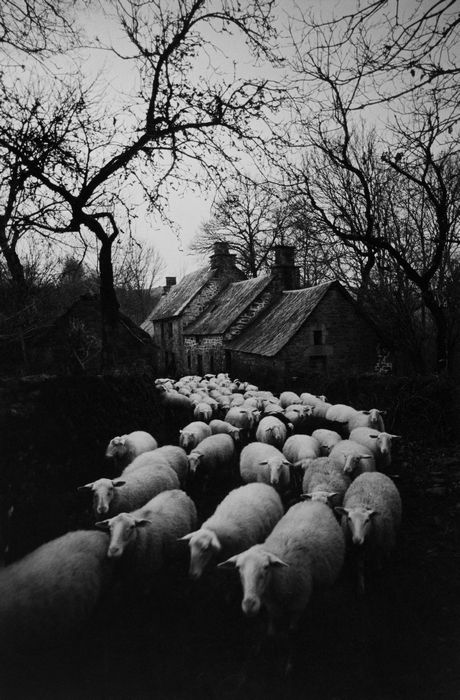 Numerous visits to the Corrèze region allowed him to produce scenes of rural life that now no longer exist . Rural areas where bread is baked, clogs are sculpted and the fields are laboured in the same manner as in the 19th century. The quasi cinematographic eye of Marquis caresses the landscapes with the eloquence of perfect composition learned alongside mentors Capa and Cartier-Bresson. 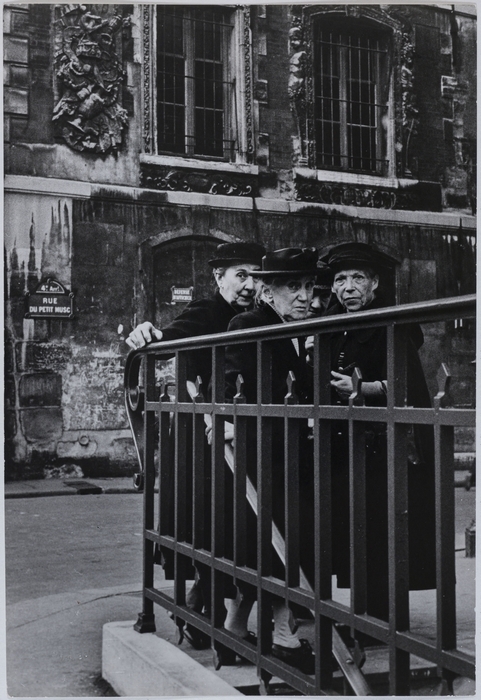 Jean Marquis photographed Paris extensively. He loved to walk night and day through what he calls the theatre of the streets. High Fashion, politicians, demonstrations, the old market of Les Halles, prominent writers and artists, horse racing, cinema, every subject was covered by Marquis with a tender eye and a passion for natural light. Theatre and literature were always a great influence in Marquis’ work. He was very much at ease while retracing in images the places frequented by Louis Aragon and Elsa Triolet in Paris in the book "Il ne m’est Paris que d’Elsa" (Paris is only Elsa for me) that they produced together in 1964 and which was published by Laffont. Whatever the subject, Jean Marquis allows his emotions and empathy to shine through with simplicity and reserve.